David Denton, AIA – an architect from Marina Del Rey, California has been spending the past several weeks working on a project in Egypt. 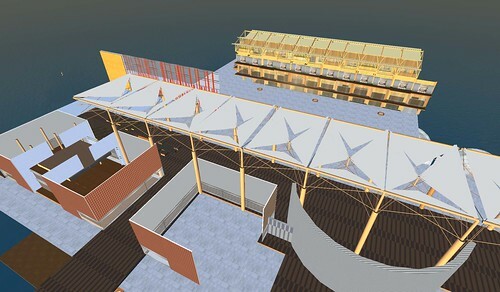 He has found virtual world modeling to be far more effective than traditional CAD or BIM applications in sharing ideas with the client, and promises to share some of his observatins and experiences with us in future posts. For the time being, I have included a series of screenshots showing some of his early progress on this exciting project. To see some of David’s purely virtual design exploration, visit his LOCUS sim – more information and a landmark can be found HERE. Cross posted from the ARCH Network. If you’re new to virtual worlds, this QuickStart Guide is a great place to start. 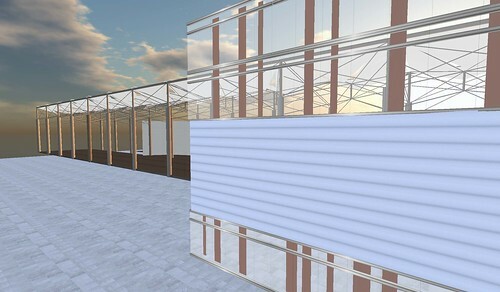 Virtual Project Spaces enable you to explore design on a whole new level. These multi-user, online, collaborative environments offer a unique blend of features that cannot be found in any other application. Just like websites, Project Spaces are hosted on servers, and you (and anyone you invite to join you!) can access these worlds by using a free browser, or ‘viewer’ designed specifically for running 3D environments on your computer. 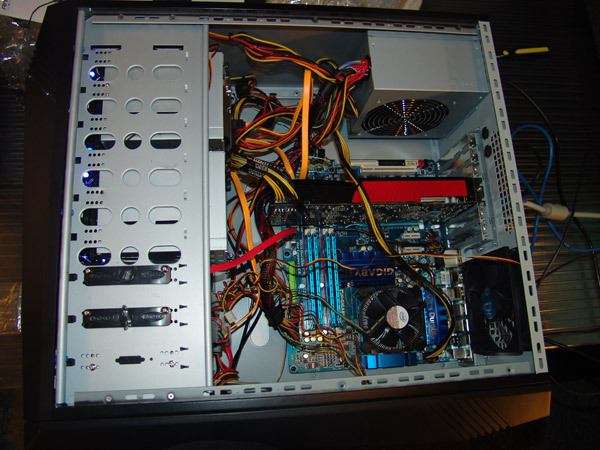 Project Space hosting works just like web hosting, but there are 3 main decisions to make. What size? Which platform, and Public of Private? Private: You can choose to host a full-size Project Space and have it remain totally private, accessible only by you and people you provide passwords to. Public: Or, you can rent a smaller parcel within the public AEC Project Spaces community, where you will have neighbors working on their own AEC-related projects. 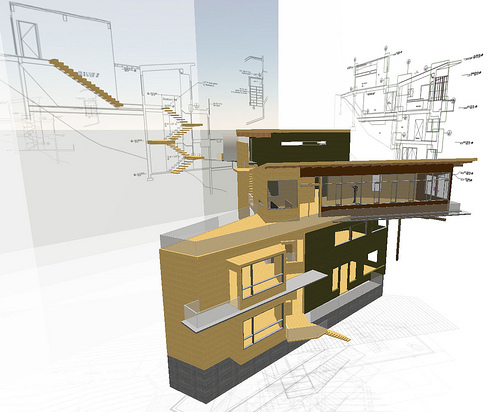 Import full 3D models from external apps like Revit, 3DS, ArchiCAD – any industry-standard application. Primarily AEC community. While wider diversity will soon be accessible to Visibuild users, it will primarily be a place where you can network with other AEC professionals. For example, if you’re a student, you will soon be able to network with professionals. If you’re a professional, you’ll be able to network with potential clients, product vendors and more. As the community grows, so too will the opportunities for networking and collaboration. Ability to backup your work to your own hard drive. 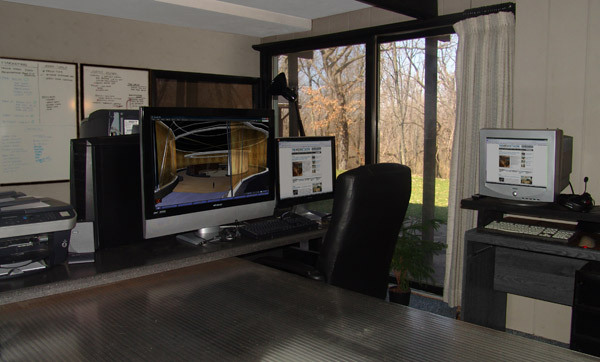 Privacy – if you need to keep your project top secret, your Project Space can be hosted in a private and secure region. More prims per square meter rented. Visibuild offers the ability to have many more prims installed on a site. Diversity and size of the community. These spaces will work well for you if you want to share your work with lots of people from a wide variety of disciplines. Thorough documentation and support. Because it has been around longer, there is a larger pool of resources available both in-world and on the web. Does not allow import of full models from external 3D apps like Revit, 3DS, ArchiCAD, etc. Less control over your content. It cannot easily be exported, and your content remains under the control/ownership of Second Life servers. Primitive object (prim) size limitation. 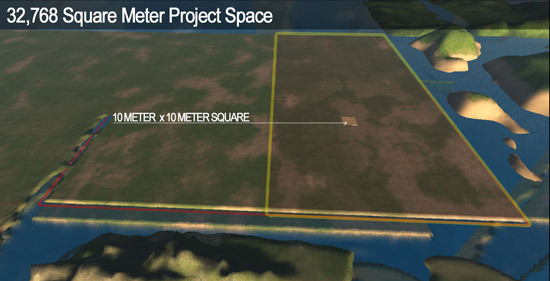 When using the in-world modeling tools, objects cannot be stretched larger than 10 meters in any direction. To make larger objects, multiple prims are required. 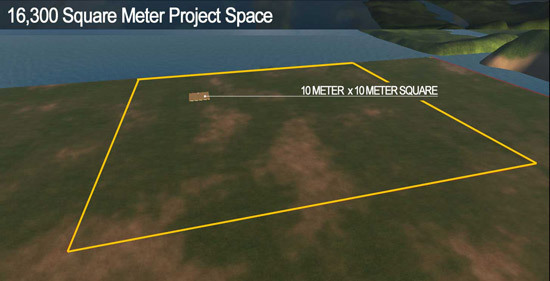 Fewer prims per square meter of space rented. 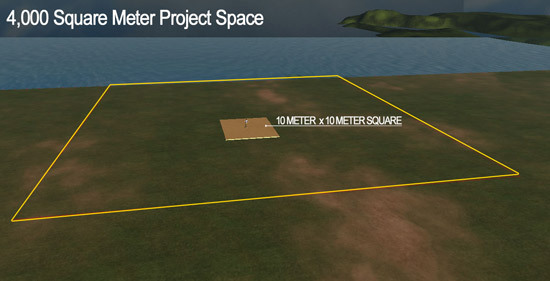 This is a limitation Second Life places on the number of objects you can have installed on a site at one time. After you’ve chosen the size, platform and placed your order, you will be given a landmark to your Project Space location. Assuming you already have an account, and have downloaded and installed the platform of your choice, you can log in and visit your new Project Space. You can either use the simple in-world building tools within the ‘edit’ menu, or if you’ve chosen to work on the Visibuild platform, you can learn how to import your 3D models (tutorials coming soon!). If you need some training, or would like to attend a workshop, visit this page to learn more. 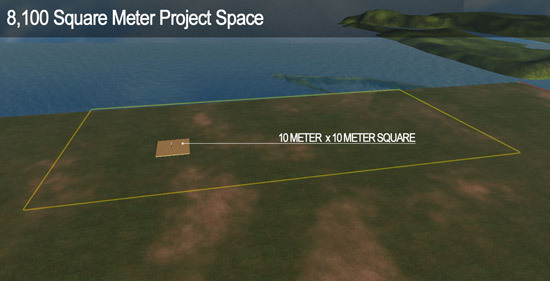 Here are some images to give you a sense of the Project Space sizes. To get started, click HERE or send an e-mail to land@archvirtual.com describing the parcel size and platform you wish to secure, and we will get back to you within 24 hours. If you’re not sure, please don’t hesitate to call or e-mail, and we will guide you through the decisions to be sure you’re set up with just the right parcel size and platform. Scope Cleaver, a virtual architect, is currently featured alongside the world’s greatest architects for his work at Princeton University and beyond in TASCHEN’s new Architecture Now! publication. Flip to page 461 to read his article. Congratulations Scope, for this well deserved recognition! Thanks @Poid for the link! The virtual winds of change are blowing, and its time to re-activate, refresh, and re-invent many of the various efforts associated with this blog, Architecture Islands, the in-world RL Architects group, and more. In the days ahead, I plan to introduce a more consolidated blend of these elements under one name, ‘The ARCH Network.’ We will be hosting a discussion on Architecture Island on Thursday, April 16th at 9am SLT (PDT). The meeting will be held at THIS SLURL. The Group: Since its inception, ‘RL Architects in Second Life‘ group was a poorly chosen name. It has never been exclusively about ‘RL Architects’ (what exactly is a RL architect anyway?). 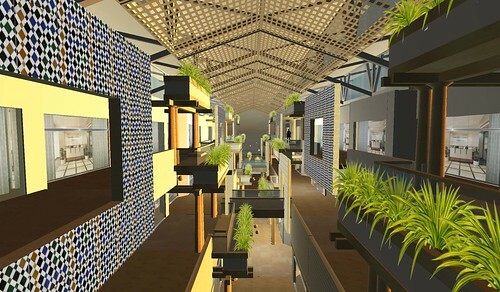 Further still, a growing percentage of the group’s members are actively exploring architecture in other virtual world platform beyond Second Life. That said, the name has never accurately reflected the group’s composition or intended goal of bringing people together, and there are too many exciting things happening in this field to have that lack of focus. Its time to turn the page. 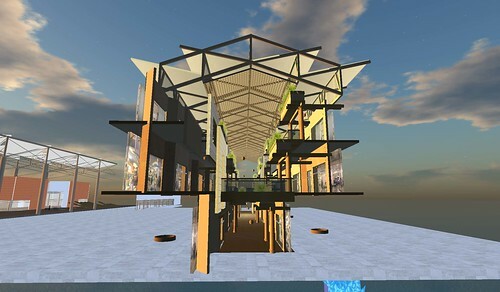 This week, I’ll be purging the RL Architects in Second Life group, and asking everyone to join a group with a name that more fully encompasses the work we do, called simply Architecture in Virtual Worlds. This name, however simplistic, more fully recognizes the diversity of the group’s collective interest, and is much more inviting to anyone exploring architecture in various locations throughout the metaverse. The LAND: Most people who are aware of this blog are not aware of Architecture Islands, or the the architecture sandboxes or the in-world group, and vice-versa. This is a missed opportunity, given that all of the energy we put into evangelizing the use of virtual worlds is not tied to a clearly defined means of rolling up your sleeves and getting started. I think we need to establish a much stronger connection between the web-based presence and the actual in-world activity. The ARCH Network will have a stronger emphasis on the land rental/purchase side of things, and will also be more diversified in offering virtual land of all shapes, sizes, and platforms. Land policies and prices will also be changing soon, and I will post news on that when the time comes. The Blog: wordpress.com is great, but its time for this to be hosted on its own domain. Also, the blog itself is only one tile in the mosaic. Viewed alone, it is impossible to see the full picture we’re trying to convey. Writing text about virtual worlds is like using a watercolor painting to describe what a pencil sketch is. To address this disconnect, and to provide additional tools and resources for readers to use, this blog will now be nested within a larger body of virtual world context, and become a place where someone who has never heard of a ‘virtual world’ can gather all of the information they need to get started. The new domain will be http://www.archvirtual.com and I urge you to add this subscription to your feeds.